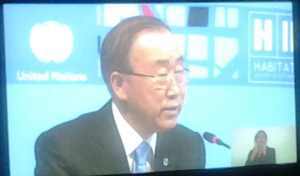 Habitat III is one of the first major global conferences to be held after the adoption of the Post-2015 development agenda. The conference is also representative of a significant milestone emerging from over two years of preparatory meetings. This century will see a substantial majority of the world’s population living in urban centers. By 2050, the world’s urban population is expected to double. Urbanization has been termed one of the most transformative trends of the 21st century, thereby underscoring the need to plan and monitor the course of urban development. 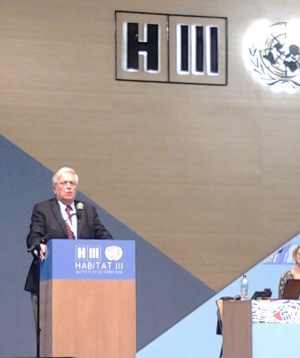 THE Habitat III successfully concluded with the adoption of the New Urban Agenda https://habitat3.org/the-new-urban-agenda. This highlight document is a policy document that will set global standards for the way cities are built, managed and inhabited. Unlike the SDGs the New Urban Agenda is non-binding – it seeks to lay down a shared vision for those involved in urban development and informs how urban development takes place across the world. 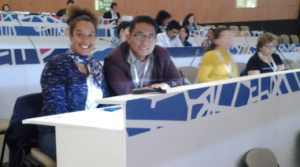 In the lead up to the development of the New Urban Agenda meetings and preparatory committees have deliberated for several years before the Quito conference. 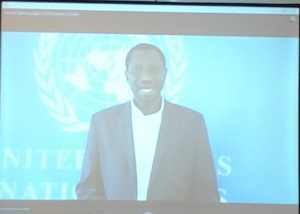 Expects from all around the world were invited to make recommendations for the NUA, through ten policy units. 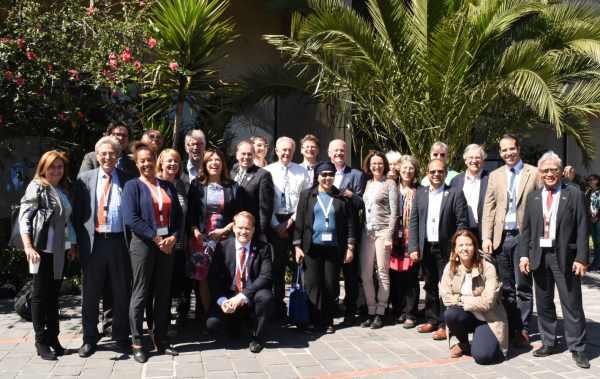 These groups examined a range of intersecting issues, including an Expert Group meeting on Gender perspectives of the New Urban Agenda, with contributions made by FIG Vice President D Dumashie who attended the meeting in June 2016 in New York, USA. 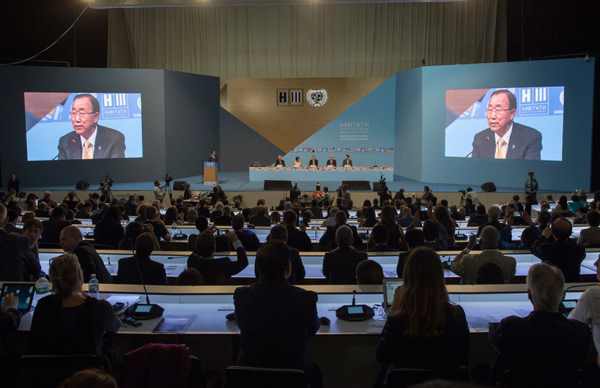 On its opening day, the Habitat III Conference welcomed 30,000 people, among them 10,000 international participants from 167 countries attended the different events and meetings at the Casa de la Cultura conference centre in Quito, Ecuador. The historic centre of Quito has one of the largest; least altered and best- preserved historic centers in Latin America. Quito along with Cracow, were the first World Cultural Heritage Sites declared by UNESCO in 1978. The Habitat conference happens once in every 20 years, with Habitat II being held in Istanbul in 1996 and Habitat I in Vancouver in 1976. 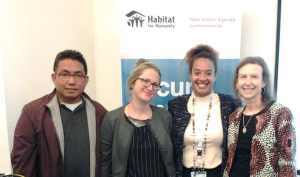 Habitat III is aimed at steering the course of global urbanization towards environmentally sustainable and socially equitable development pathways. The New Urban Agenda aims at implementing the targets of Goal 11 in the Sustainable Development Goals, which specifically deals with making human cities and towns inclusive, safe, resilient and sustainable. Key issues that were debated include climate change, as cities are responsible for 70% of the world’s greenhouse gas emissions, housing, migration, poverty, and inclusion. In the span of four days almost 1,000 events took place, including 8 Plenary sessions, 6 High-level Roundtable sessions, 4 Assemblies, 16 Stakeholders Roundtables, 10 Policy Dialogues, 22 Special Sessions, 3 Urban Talks, an Urban Journalism Academy, 59 United Nations events, 157 Exhibition booths, 42 Village projects and over 460 side, networking, training and parallel events were organized by various stakeholders. Crucially participants at the conference were representative of a strong and wide range of global stakeholders from national delegations, local authorities, and civil society to business and industry. Such a high turnout is a testimony to the strong interest in the conference, in the relevance of the themes it addresses, and in taking part in the global conversation about our cities. 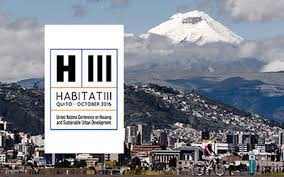 It signals that the Habitat III Conference is a global arena where stakeholders, national and international, can ensure that their voice resonates in the discussions on the implementation of the New Urban Agenda. UN Habitats Women’s Assembly, Diane provided a closing rapporteur of the group deliberations on ‘How to realise gender responsive, equitable cities and sustainable urban development, having regard to the key elements of the New Urban Agenda’ and the Sustainable development goal 5 and 11. The output will be a voluntary commitment list to implement to ensure the priorities and plans are realised. This is expected end of 2016. 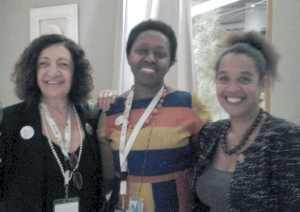 As a member of the Advisory Group on Gender Issues to the UN Habitat Executive Director (AGGI), formed in 2014.